Heavenly blog! : No. 820: No one can say one thing for me when I hold out the word of God concerning remarriage and it is Torp who have contacted me repeatedly, I never him! No. 820: No one can say one thing for me when I hold out the word of God concerning remarriage and it is Torp who have contacted me repeatedly, I never him! No one can say one thing for me when I hold out the word of God concerning remarriage and it is Torp who have contacted me repeatedly, I never him! Only "flaw" I may have done is to write about Torp and his sinful life more times than necessary. But I must also have a "goof account» without being held as a criminal? Of course! Satan walks around like a roaring lion, but he is toothless Hallelujah. So also here, Torp is "toothless" that Satan with their primitive and mendacious behavior! A "wrong" I have done, but then Torp both threatened me with racketeering and "invited" me to a cafe visits, etc. From this, I have fallen for the temptation written perhaps somewhat too much? Repeated sometimes something that I certainly did not need? But so too is Torp a psychopath and power man. 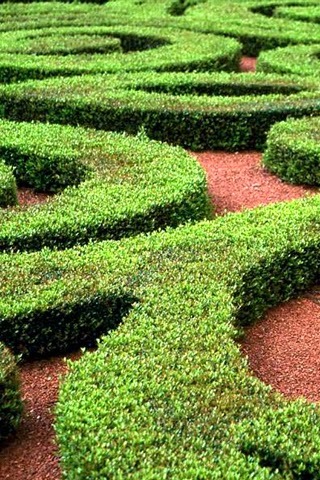 To meet such a person is like going into a maze. Then go slightly in Whitefish zag, and it will not be the structure of it before one finds out of it all! Torp is interviewed in VL and responds: "We chose to report to the police Christensen, and there has not been a pleasant experience. During the last two months I have many times been called whore buck, adulterer and so on, says Jan-Aage Torp, pastor in Oslo Church. " True hood is that Torp has benefited every second being in the center and believe that his case leads! The thing to Torp is stillborn, as if the case against me will prevail so one can only throw the whole Religious and freedom of expression in the trash! Torp is and remains a loser! But repent himself and differs from his "wife" who is not his wife after word of God. Now live Torp in adultery, so too can he be a winner! No. 818: The cost of the police can be great! No. 813: How's my review of Torp people ask me! Nr. 800: A journey into himself, this has been!